A free service helping people who have just lost a friend or loved one is set to launch in West Sussex. ‘Tell us Once’ will be offered during death registration appointments and notifies several government and council agencies of the death, including HM Revenue and Customs and the DVLA. 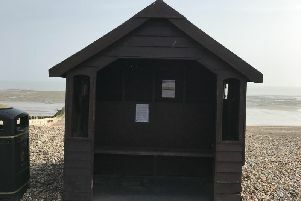 It is run by the Department of Work and Pensions and is being introduced tomorrow (Wednesday July 8) in the county by West Sussex County Council in partnership with district and borough councils. At registration the registrar will add the details of the deceased to the Tell Us Once national database. Residents will then be given a unique reference number which will enable them to activate ‘Tell Us Once’ with a visit to the website or a single call, should they wish to take up this service. David Barling (Con, Bramber Castle), WSCC’s cabinet member for residents’ services, said: “We know how difficult it can be when someone close to us dies. “In addition to the emotional distress, there can be a lot to organise and the last thing you want to do is spend hours contacting lots of different agencies to inform them. “That’s where ‘Tell Us Once’ aims to help. It will reduce the amount of calls you will have to make. For more information visit West Sussex County Council’s website.